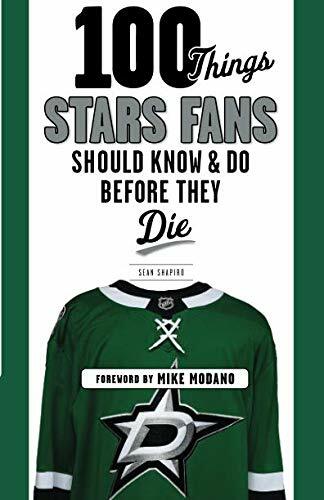 With traditions, records, and lore, this lively, detailed book explores the personalities, events, and facts every Stars fan should know. It contains crucial information such as important dates, behind-the-scenes tales, memorable moments, and outstanding achievements by players like Mike Modano, Joe Nieuwendyk, and Neal Broten. Whether you watched every second of the 1999 Stanley Cup or are a more recent fan of Jamie Benn and Tyler Seguin, this is the ultimate resource guide for all Stars faithful.